Today's recipe comes to you from a book that is full of "Lip-Smacking, Belly-Filling, Home-Style Recipes guaranteed to Keep Everyone-Even the Meat Eaters-Fantastically Full" That's right, good old Hearty Vegan, the big book of BIG recipes that everyone who tried any of the recipes from it loved it, but very few people bought it. 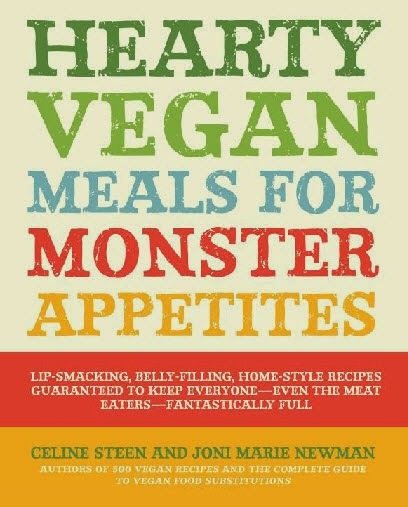 Maybe "Monster Appetites" weren't a very good demographic to go after in a vegan cookbook audience? Maybe it was the lack of pictures on the cover? I don't really know. What I do know is this book is absolutely full of recipes guaranteed to please the palate. (But, please, use it sparingly, because they will also expand your waistline! Seriously, this book is full of deep fried deliciousness and greasy goodness.) 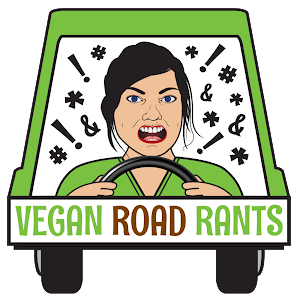 So we rebranded it. 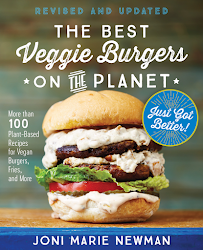 She got a new name, Home-Cooked Vegan Comfort Food: More Than 200 Belly-Filling, Lip-Smacking Recipes , and a new cover. Same recipes inside, she just got a new pretty dress. 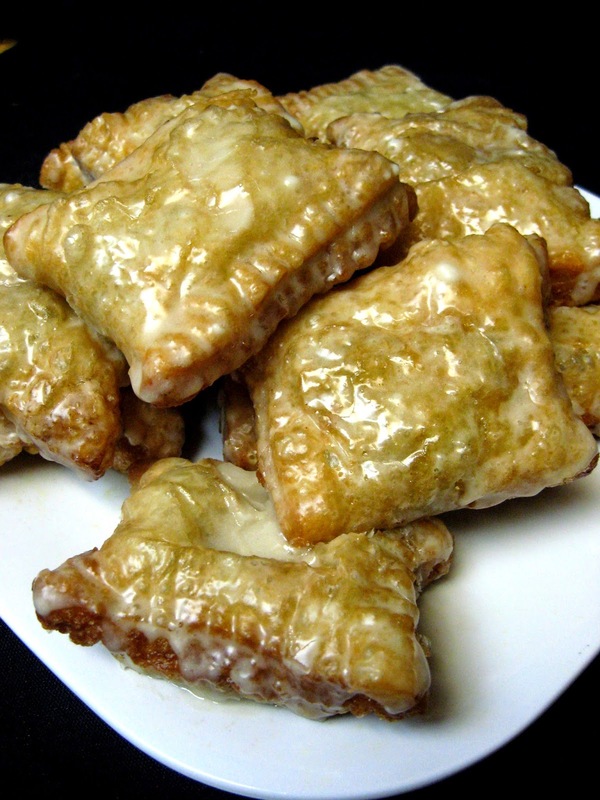 If you thought puff pastry was tasty when it was baked, just wait until you try it deep fried and then glazed! 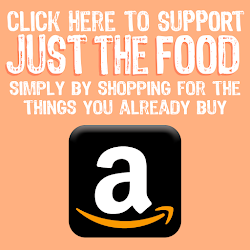 This simple list of ingredients will yield such amazing results you will hardly believe it was so easy. If you have a deep fryer, this is a great time to use it. If not, a pot filled with 4-inches (10 cm) of oil heated to 350°F (180°C) will work perfectly. Cut your sheet into 16 rectangles measuring approximately 5-inches x 3-inches (12.5 cm x 7.5 cm). Create a pocket by folding 1 rectangle in half and sealing the 2 outer edges with the tines of a fork leaving an opening at the top. Add 3 cherries into the pocket and seal the top. Add 2 pie bites at a time to the oil and fry for about 1 to 1 1/2 minutes then carefully flip and cook an additional 1 to 1 1/2 minutes, or until puffy, golden and crispy. Transfer to a plate lined with paper towels to absorb excess oil. Repeat until all 16 pie bites are fried. In a small bowl whisk together powdered sugar with the soymilk until smooth. Dip each bite in the glaze and place on a wire rack to cool and dry completely. Make sure to place a kitchen towel or paper towels underneath your rack to catch the dripping glaze. Mix it up! No need to limit yourself to cherries. Try these little gals with a number of different fillings...blueberry, peach, mango, strawberry, banana, you name it. If you can fit it inside, chances are, it will taste delicious! 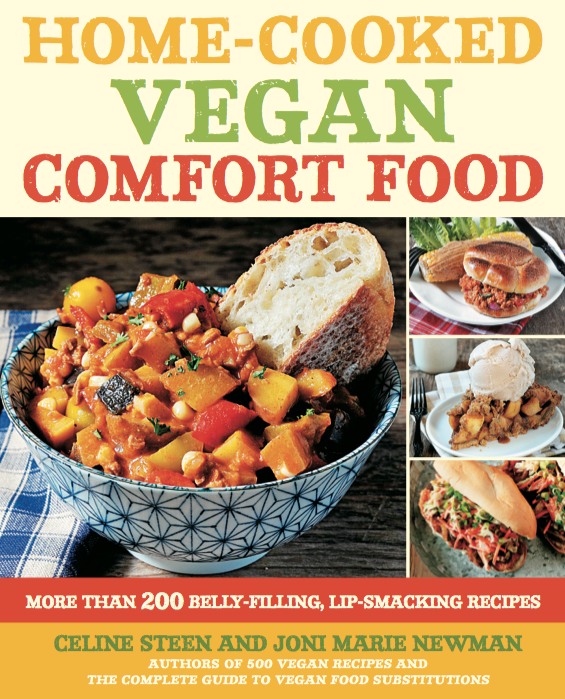 Aww, poor Hearty Vegan Meals - I bought it & it's awesome! I break out the 5 cheese mac pretty regularly but I haven't made these yet. I will now though, they look amazing! I also have this book and was reading through it two nights ago. I haven't tried these or the 5 cheese mac and cheese. I am behind the times.